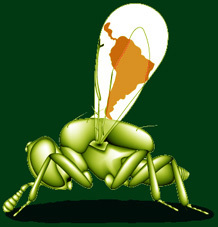 This website is focused on the knowledge of parasitic wasps of the family Eulophidae in tropical America. The main purpose is to facilitate the identification of these small wasps in tropical America, but also to keep the information about distribution and biology of the species in this area up to date. To achieve this keys for the identification of genera and species and fact sheets with information about these taxa are included here. Included is also a catalogue with genera and species of family Eulophidae currently known from tropical America. The site is under construction and only one of the four subfamilies of the Eulophidae, the Entedoninae, has this far been included. So far 32 genera and almost 1000 species are included on this site.